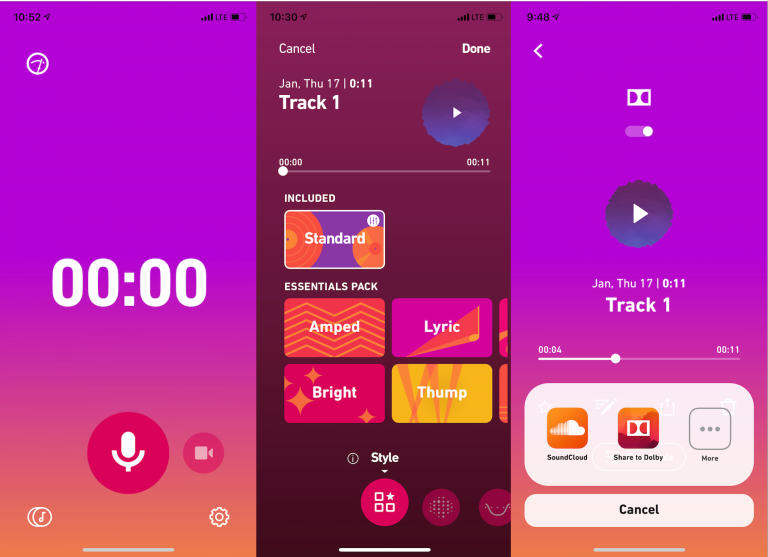 Dolby has been rather secretly testing an app capable of recording studio-quality audio from cell phones. The app, called ‘234’, cleans up audio from voice notes by cancelling any background noise. You can edit it even further, too – there are presets available like “Amped,” “Thump,” and “Bright”. The only catch? It’s still too secret for us to use it – for now, at least. A presumably beta version of the app was briefly available for download through a now-deactivated sign up site. It was advertised as “having your own producer in your phone,” according to producer Dani Deahl from The Verge. Deahl had managed to snag a copy of the app before the site’s deactivation. ‘234’ is reportedly easy to use. The user would simply tap the record button, triggering the software to measure the room noise and then start recording. Sounds easy, right? A pre-programmed basic preset is present, with an added upgrade option for unlocking six more. However, as of now, users are not able to adjust any parameters other than ‘Intensity’. Two export options are currently present, one being “Export to Dolby” and the other being SoundCloud. Predictably, a ‘one-button solution’ for fixing audio still has its kinks. As Deahl mentions in his review, the advertising done for the final outcome was rather strong and not too amiss. The ‘234’ beta project is undoubtedly a test for Dolby. Making an easy to use studio-grade audio-recording software that can easily be accessible to consumers is no small task. Could this app prove to be a game changer? It could open a gateway for bedroom producers and artists who don’t have physical or financial access to a professional recording studio. Seems like a dream, doesn’t it? Dolby seems to be leading the charge now to provide studio-grade audio recording from a simple phone app. I wouldn’t be surprised if that dream becomes a reality. Further improvements are definitely expected from the beta. If Dolby manages to pull this one off, there are only two words for it: game changer. Regardless of what the outcome of this project will be, keep watching this space for updates as we get them.